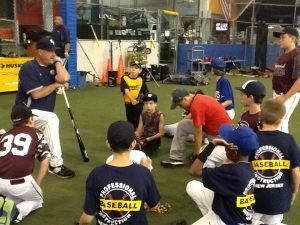 Professional Baseball Instruction is dedicated to providing the best year-round baseball training in New Jersey. It does not matter your age, position, or skill level, PBI has a program for you. This year, we will be adding a strength and conditioning aspect to ALL of our programs! For position players, our Pre-Season Winter Training Programs are a great way to sharpen all aspect of their game. Offense, defense, and base running are all included in this program. The offensive side of the training program was designed by current Pittsburgh Pirates manager Clint Hurdle and is a great way for players to increase their bat speed and swing consistency. The Pre-Season Programs are broken down into multiple age categories with high school aged kids all grouped together. One of our most notable programs that we offer during the winter is our Pitching Healthy Program. Pitching Healthy was collectively designed by the professional staff of the Baseball Health Network. Through our knowledge, experience and research, we developed this program to fully prepare our pitchers for the upcoming spring season. From a progressive throwing regimen, to a strength, conditioning, flexibility and nutrition program to mental training and breathing exercises – we have you completely covered. Pitching Healthy is guaranteed to improve your overall performance on the field. CLICK HERE for PBI’s complete training schedule. For more information on how we can help you achieve your maximum potential on the field. Please contact us at 800-282-4638.